1914Geoffrey Winzer Gilbert was born in Liverpool, England. 1920 Began playing the tin-whistle, age 6. 1924 First performance, age 10, on a simple piccolo, at a family holiday in a small village called Kirk Michael on the Isle of Man. 1926 Secures first flute teacher, Vincent Needham, Jr. Within a short time Geoffrey was offered his own job in a cinema orchestra. The only problem: he was twelve; the musicians union would not allow him to join until age 16. He did get the job, but had to arrange for his paycheck to be picked up by his father each week. 1926 marked the beginning of a decade of performances in amateur operatic societies, musicals, skating rinks, circuses, and occasional cinema orchestras. 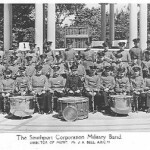 Gilbert joins the David Lewis Military Band. Uses his performances to pay for tuition at Royal Manchester College of Music. His teacher was Joseph Lingard, Principal Flautist in the Hallé Orchestra. 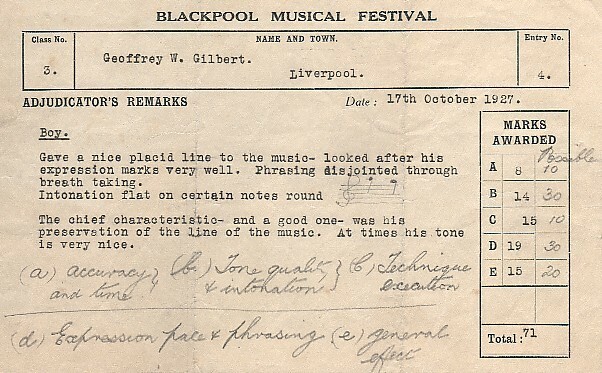 1928Royal Manchester College of Music scholarship, age 14. 1930Receives additional training in the traditional British school of flute playing at Royal Manchester College of Music. 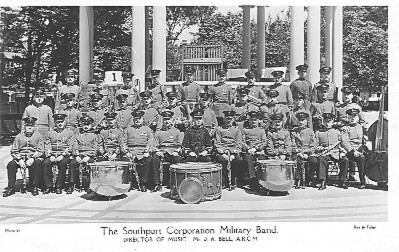 Gains position in a military band in Southport, and becomes a member of the famous British Hallé Orchestra, all by the young age of 16. 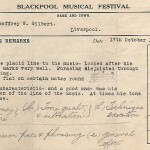 Sir Hamilton Harty, conductor of the Hallé Orchestra from 1920 to 1933, invites Gilbert to become first flute; principal positions with the Liverpool Philharmonic Orchestra and the BBC Northern Orchestra soon followed. It was through the kindness and interest of Mr. R. J. Forbes, Principal of the Royal Manchester College, that Gilbert auditioned for Sir Hamilton and later for Sir Thomas Beecham, and his orchestral career ultimately began. “I used to get up and catch a train in Manchester about a quarter to seven in the morning from Lime Street Station. I had a class about 9 o’clock. Manchester was just up the coast about forty-five miles away.” He went to college two or three times a week, spent the day in flute lessons, orchestra or ensemble lessons, and caught the 4:30 train back to Liverpool in time to be at the cinema by 6:30, and then would go home and practice until about two in the morning. 1933Appointed Principal Flute with the London Philharmonic Orchestra by age 19; he held this position until 1939. 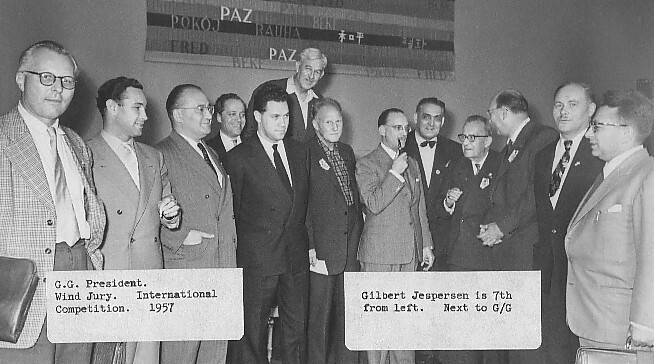 The years of 1933 to 1939 were formative for Gilbert with these orchestras, and afforded him the opportunity to make professional acquaintances with almost all of the great conductors of the period: Monteux, Mitropolous, Koussevitsky, Reiner, Bruno Walter, Wiengartner, Boult, Furtwangler, Mengleberg, Bellezza, Marinuzzi, Kleiber, Henry Wood, and Landon Ronald. 1935Meets Marjorie Forster Johnston, a student of dramatic art, at the Guildhall School of Music and Drama in London. 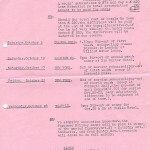 Marjorie says that Gilbert proposed to her one week later, then adds with a twinkle in her eye “he swears it was two.” Marjorie had a contract with the BBC in Belfast, but Geoffrey was persistent: flowers, fruit, presents, and the “deciding” meeting with the future mother-in-law brought an engagement some ten months later. They were married on February 24, 1937, and she took over the duties of managing his affairs: lessons, concerts, rehearsals, solo engagements, and arranging tours and concerts with the Wigmore Ensemble. They remained happily married for more than 50 years. 1936During the time Gilbert played principal flute in the London Philharmonic Orchestra, he began to have serious doubts about the traditional English method of flute playing. Players of that period used a thick wooden Boehm system flute, which offered more resistance, necessitating a very tight embouchure, a tiny aperture and tremendous forcing of the air. 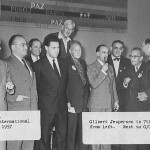 Gilbert realized that there was a prejudice against British flutists and he questioned why the recording companies and the BBC were importing artists like Rene le Roy, Jaunet and Moyse for recordings and broadcasts. After hearing several concerts and some recording sessions with Moyse and le Roy, a lasting impression was made and Gilbert became unhappy about his playing. He wondered how these flutists were able to produce such warmth and expression in the sound. 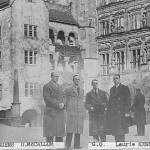 Eugene Goossens (Leon’s brother), a noted and respected conductor of the time, was consulted. He advised that if Gilbert wanted to be regarded as an international artist he would have to change his style of playing completely. Upon securing a letter of introduction to Monsieur le Roy lessons were arranged to take place in London. It only took Le Roy a few minutes to diagnose the problems. A complete change had to be undergone. A new embouchure was needed, articulation changed, different vibrato and a new flute must be purchased. It was a decision of great magnitude as Gilbert was already at the top of his profession and so Sir Thomas Beecham was consulted. He was very sympathetic, and agreed that if Gilbert thought this was what was the right thing to do he would give him all the encouragement and support that he needed to achieve his goal. The first step was to purchase a silver Louis Lot flute. The major differences of the French style were based partially on the response of the silver flute, which required a much looser embouchure and a certain breath support to make the sound resonate and vibrate. It was an agonizing process of trying to make this change at the same time he maintained his position with the LPO. 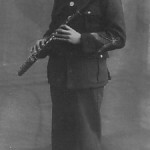 “I would go home after playing in the orchestra and spend hours in front of the mirror with a head-joint trying to get the embouchure to do the right thing and trying to get control.” The process of making this change took Gilbert about three years and was hastened by the outbreak of World War II in 1939. With no public concerts permitted in UK he had more time to practice before joining the army. During the early months of the war when no concerts were allowed Gilbert had six months of uninterrupted practice without any orchestra responsibilities before enlisting the service of the Coldstream Guards Band. 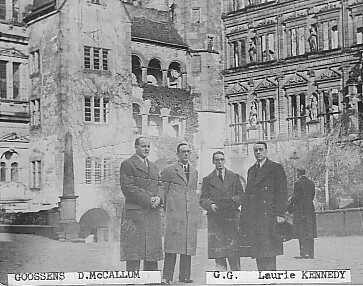 1937 Before the war broke out, relationships with German orchestras were cordial. 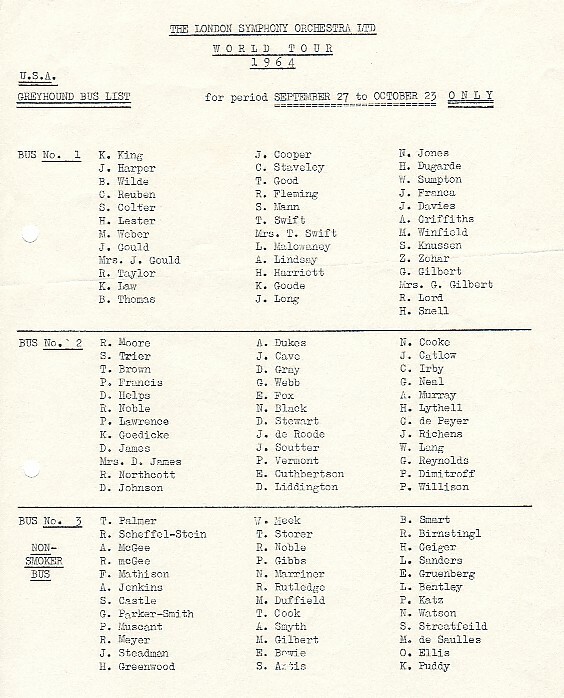 On May 3, 1937, the LPO entertained the Berlin Philharmonic in London during its concert tour. He spent the last three years of his duty as a “proper guardsman” (regular soldier), serving at Pirbright and other camps. This was a more positive experience, and at the end of his enlistment, he found the opportunity to practice and became further convinced that his decision to make the change to the French style was the right one. In 1939, the LPO was playing at Covent Garden with Sir Thomas. A command performance for the President of France and King George VI was a highlight of this period. 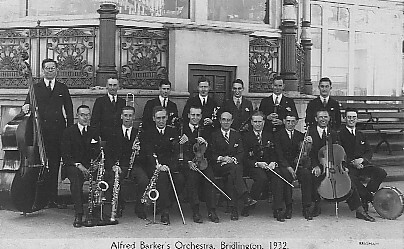 1946After the war, Geoffrey was happy to return to the life of a professional musician and accepted a position with the LPO at the same time Sir Thomas Beecham was forming a new orchestra, the Royal Philharmonic. 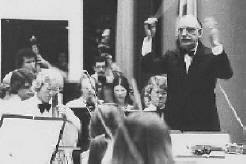 Beecham issued Gilbert an invitation to become the first flutist, however, Gilbert felt an obligation to the LPO. Ten years passed before Beecham could repeat the offer and Gilbert felt free to accept. During this period, Gilbert held positions with several orchestras, and received numerous teaching appointments. A 1952 disagreement with Sir Malcolm Sargent, the musical director of the BBC Symphony Orchestra, led to Geoffrey’s resignation. 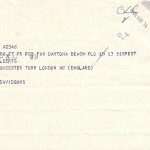 In 1968 Geoffrey corresponded several times with Charles Reid regarding the book he wrote on the life of Sir Malcolm. 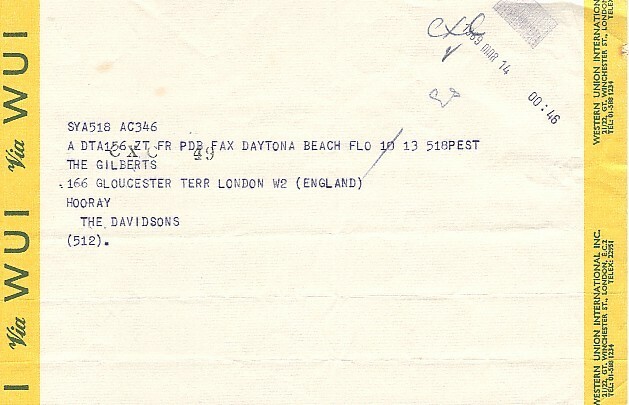 Marjorie saved the correspondence, as well as an article on the book and letters and a card from Sir Malcolm, which can be viewed on our Conductors, Colleagues & Collaborators page. 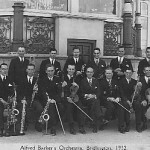 1948Gilbert founded The Wigmore Ensemble, which remained in existence under his direction for twenty-one years. This was also the year Gilbert accepted a teaching appointment at the Guildhall School of Music where he taught until 1969. It’s here he instructed many students who would later become famous flautists, such as William Bennett and Sir James Galway. 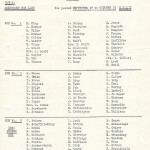 1953Gilbert is invited to play in the Coronation Orchestra during the Coronation Service for Her Majesty Queen Elizabeth II. 1960Eugene Ormandy, conductor of the Philadelphia Orchestra, was in Switzerland for a vacation and heard a radio broadcast of Bach’s Suite in B minor, which had been recorded in Geneva by Gilbert just two weeks prior. An interesting set of circumstances ensued. Ormandy and Gilbert met in London and Gilbert played to him. Ormandy formally offered him the position of principal flute in the Philadelphia Orchestra. 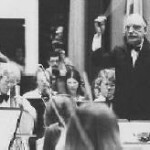 Unfortunately, as had happened before when Charles Munch offered Gilbert the Boston Symphony Orchestra, the American Musicians Union stepped in and made it too difficult for Gilbert to take up the position. 1964World tour with the London Symphony Orchestra. 1966 World tour with the London Symphony Orchestra. Gilbert was also co-principal flute for the Florida International Festival in Daytona Beach, Florida, in July of that year, which eventually led to his relationship with Stetson University and the invitation to join the music faculty several years later. 1969With the promise of “sunshine’, an orchestra to conduct, and the Kenan Professorship (an Endowed Chair), Geoffrey and Marjorie Gilbert left England to move to DeLand, Florida and join the faculty of Stetson University. For the next ten years, Gilbert performed duties as Director of Instrumental Studies, Conductor-In-Residence, and studio flute teacher at Stetson. During this time, he was so committed to his responsibilities to the University, that only under the most extraordinary circumstances would he accept private students, outside performing and conducting opportunities, or instruct flute masterclasses. 1979Upon his retirement from Stetson University, Gilbert began accepting private pupils and kept a rigorous schedule of private flute lessons and masterclasses. He usually had to arrange his schedule several years in advance to accommodate the many flutists who desired to study with him. 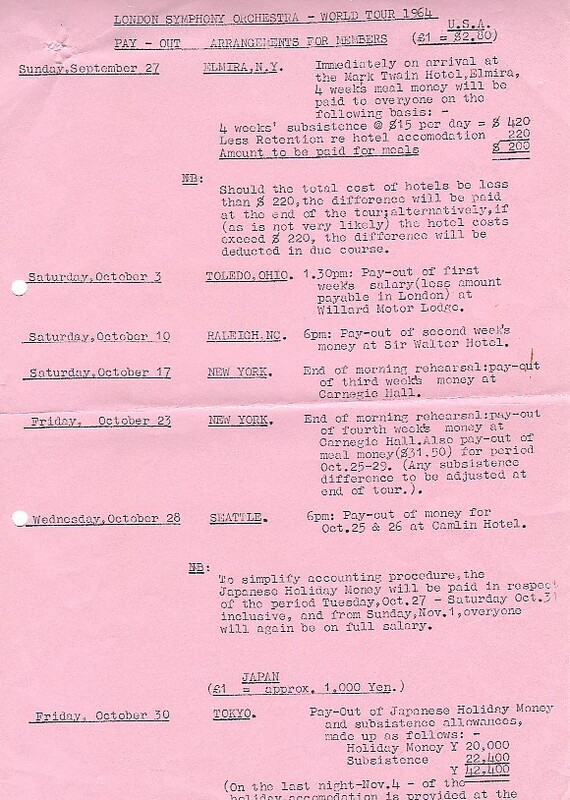 His masterclass schedule required him to travel extensively throughout the United States, as well as Canada, England, Germany, Holland, and Ireland. Additionally, flutists from throughout the United States, as well as abroad, came to DeLand, Florida, to study privately with the master teacher. 1989Geoffrey Winzer Gilbert, at age 74, died quietly in his home studio in DeLand, Florida, after having tea with his wife in celebration of her retirement from Stetson University. 2009Guildhall School of Music named one of its teaching studios the Geoffrey Gilbert Flute Room in honor of its former Guildhall School professor. 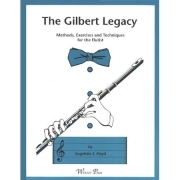 If you are interested in learning more about Geoffrey Winzer Gilbert and the impact his teaching had on English and American flute playing, read the book The Gilbert Legacy by Dr. Angeleita S. Floyd.